My father worked for Children’s Television Workshop intermittently through the 1970s, starting as a public relations consultant and as the speechwriter for Joan Ganz Cooney, the founder of CTW and, essentially, the creator of Sesame Street. He was involved in the earliest stages of the show’s inception and evolution in 1969-1970, when the idea of publicly-funded programming for children that was firmly grounded in academic principles of pre-school education (as well as a sociological and political/economic understanding of the needs of modern children, particularly in inner cities, where television often took the place of parenting or schooling) was brand new. Dad worked closely with Cooney and others to develop the presentational materials that were used to draw attention to the project and even attended the White House Conference on Children and Youth in 1970. Sesame Street was very much a product of the social upheavals of the late ’Sixties, and its ideas and methodology (including the Marshall McLuhan-esque concept of creating “commercials” for the numerals and letters of the alphabet which “sponsored” the show), while commonplace today, were groundbreaking and revolutionary at the time. Also, not least, Sesame Street introduced the world to Jim Henson’s Muppets (which, to Joan Cooney’s decades-long chagrin, could at one time have been bought outright by CTW but were not). 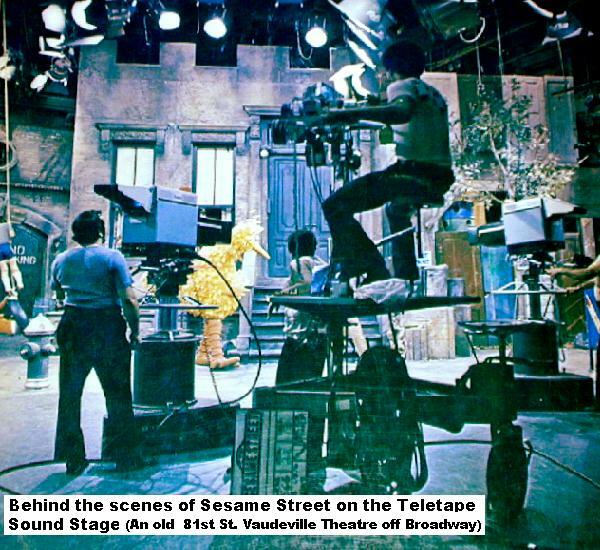 Sesame Street was, at that time, videotaped at a facility called “Reeves Teletape Studio” on Broadway and 81st street, within an old, reconverted vaudville theater. (The building was later demolished, but its façade was retained by the developers and still stands; today, the location is a condominium fronted by a Staples and a Starbucks.) By the 1980s, the program had moved elsewhere (and is now taped at Astoria Studios in Queens), but the original, 1970 “street” that was viewed in homes and classrooms all over the country was really a large stage-set behind a blank marquee on the Upper West Side. 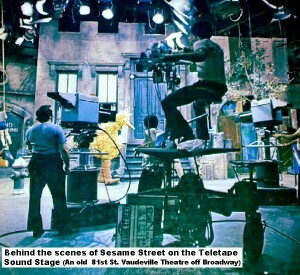 In 1971 or 1972 my father brought me to Sesame Street to see the set and meet the cast. It was, to say the least, an unforgettable experience. 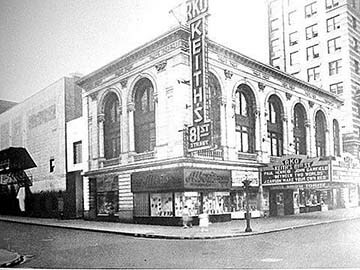 I still vividly remember our first arrival there, on a rainy day, heading east on 81st street to the grimy, windowless side-door (the vaudville theater’s original exit) which was opened from the inside (by some mysterious pre-arranged signal) and gave on a dark corridor of black-velvet draperies that led to a brilliantly-lit space where I saw something that blew my mind for good. I had been expecting to visit a street (the actual, fictitious place I imagined that I was seeing on our black-and-white television), but, instead, I was inside an cavernous, floodlit room where the vividly-colored buildings had been (apparently) re-built at an arbitrary angle and surrounded by painted backdrops and dozens of pieces of theatrical equipment. 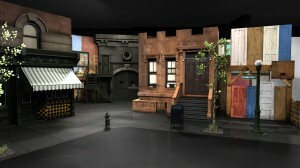 I was allowed to wander around the set for a long time, looking up-close at the wooden construction, the painted sidewalk, the fake plastic trees, and at some point it fully sank in that this was Sesame Street—that the imaginary, sunlit stretch of Harlem I was so familiar with was where I was standing at that moment. I went back several more times, but I think that first visit was one of the most important moments of my childhood; an entire raft of cinematic and architectural ambitions and obsessions (which still burden me now) were ignited on that day. 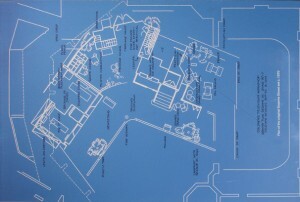 In April 2006 I visited the New York State Museum in Albany (with my friend Brendan Kennedy and his daughter Annabella), where the original 1970 “123 Sesame Street” building façade is on exhibit, along with a display panel depicting a reproduction of one of the original construction blueprint floor plans. At that time, I was just beginning to teach myself digital CGI modeling and rendering (I had not yet done my animated “Buehrig Design” film for the Auburn Cord Duesenberg Automobile Museum’s gallery of my grandfather Gordon M. Buehrig’s revolutionary car-design methods) and the Sesame Street façade and plan (which I photographed exhaustively on that day) were the basis for my first large-scaled CGI project (in Autodesk Maya), a full reconstruction of the original Sesame Street set. Six years later, after many stops and starts and intervening books and other projects, the original “labor of love” is complete. Ultimately the task included steep learning curves in many aspects of digital modeling (including diving into the deep waters of “nCloth,” Maya’s system for controlling dynamics that causes the canvas awnings to droop and wrinkle properly). 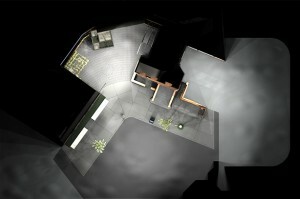 Looking at renders of the completed model, I’m transported back to that day in the early ’Seventies when I was just another child walking across that painted sidewalk under the bright stage lights, gazing up at the false-front buildings and at the bright canary feathers on Big Bird, eyes wide open. In retrospect (and my father has always asserted this) the Harlem “inner-city” locale—with stealth-educational “graffiti” that showed letters and numbers—was a 1970s-utopian cultural conceit (since most viewers of the show were actually well-to-do white kids), and, over time, the street’s grime and disrepair have been downplayed, so that the current iteration is vastly cleaner and nicer…but, for me, that original, filthy-looking stage set is the “real,” eternal Sesame Street. 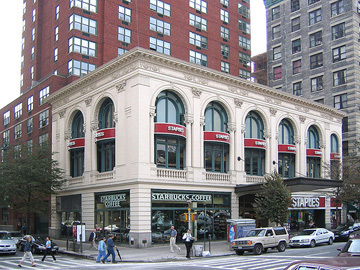 My father has long since moved on to other things, and Sesame Street has become a worldwide cultural icon (and the precise geographical spot where “Hooper’s Store” stood is now behind the barista counter at a Starbucks), but, at that time, it was a magical Upper West Side destination on a little kid’s rainy afternoon, and I’ll never forget that. Click here to see more images of my Sesame Street model.